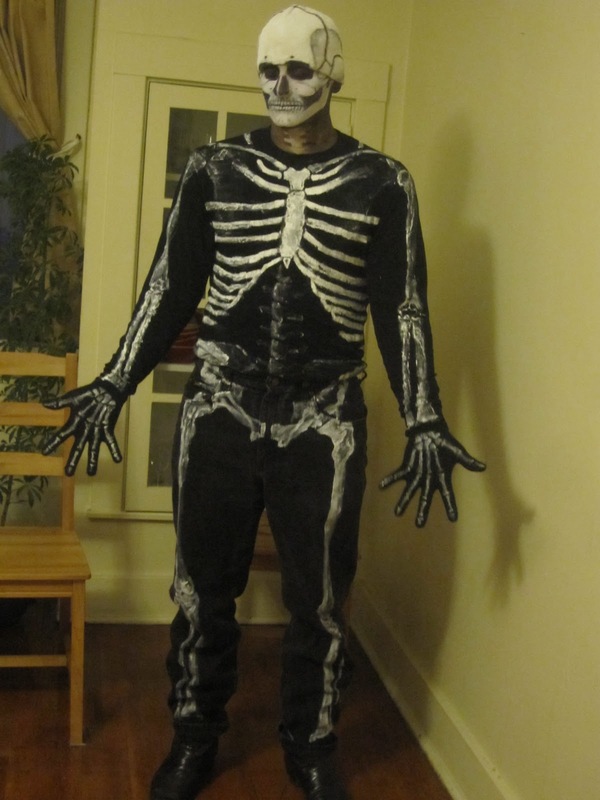 This is my best attempt at making a realistic skeleton costume. 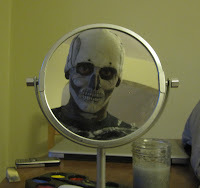 I am painting on with speedball screen printing ink overlay the correct anatomical landmarks. 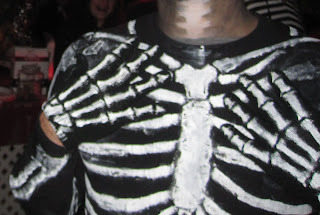 In this photo you see the sternum and clavicles painted with the bottom of the ribs marked in chalk. All that I really bought is a pair of small black gloves and a white hat. 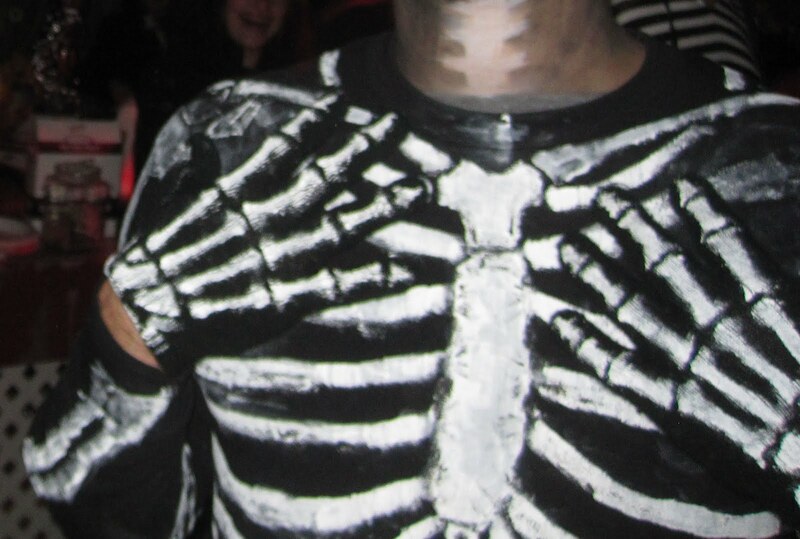 Close up of hands and chest for accurate and scary skeleton costume.